HOUSTON - Feb. 5, 2019 - In January 2019, Forward Science was awarded one of dentistry's top awards for the fourth year. The Dental Advisor awarded Forward Science the product of the year for its oral cancer screening device, OralID. Since receiving FDA Clearance in 2013, OralID has won the prestigious product of the year award from Dental Advisor every year it has been given, along with many other prestigious awards. For the fourth time, in as many years eligible, the evaluating consultants for the Dental Advisor voted OralID as the Top Oral Cancer Screening Device for 2019. According to The Dental Advisor review, OralID received the highest rated clinical score of all oral cancer screening products evaluated, and remains the only oral cancer screening product to score a perfect 5 plus (+++++) rating. The Dental Advisor is a respected dental review company that focuses on reviewing products based on clinical research. 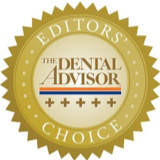 "Another year and another award from The Dental Advisor continues to validate what we do at Forward Science everyday" states CEO of Forward Science, Robert J. Whitman. "To receive this award in every year that we have been eligible, speaks not only to the life-changing technology of OralID, but also to our commitment in the battle against oral cancer." Forward Science offers a complete oral wellness program, with its ID For Life™ Program. The OralID 2.0 is now available in two colors, space gray and rose gold. 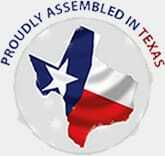 Forward Science is a privately held medtech company based in Houston, Texas. OralID, Forward Science's flagship product, is an award-winning oral cancer screening device that allows clinicians to discover abnormalities that may not be seen under traditional white light examinations. Forward Science quickly expanded its product portfolio in efforts to provide clinicians with a complete oral wellness program to battle the rising trends of oral cancer. With the launch of the ID For Life™ Program, Forward Science has evolved into the industry leader for oral oncology. The ID For Life™ Program includes the following in an effort to change the trends for oral cancer: screening device (OralID), diagnostic tests (CytID, PathID, hpvID, phID), and treatment options (SalivaMAX, SalivaCAINE). To learn more about Forward Science's ID For Life™ Program, or any of their products, visit https://www.ForwardScience.com/ or call 855-696-7254.